According to an article from budde.com.au, the overall growth of Telco sectors is stagnating and there is a need to go through cost-cutting in order to maintain its profitability. But the innovation and technology development allows companies to become more competitive. As a marketer, trusting and knowing you have a good product is not enough. Writing down how good you feel about your product and backing it up with facts is important. However, making it big in the IT industry is tough. Here are the 10 types of marketing strategies that could help telecom companies keep up with their competitors. Many Australians check their emails every day. That is why telecom companies use email marketing to maximize their effort in promoting brand awareness. Email marketing is a good way to connect, build a relationship and nurture your prospects. If you have a good database, you can send out introductory emails whenever you have a new product to prospects within your database. Australian consumers spend most of their time online to research products before they make a decision to purchase. So promoting your products and services online is a good marketing strategy to create brand awareness and drive the attention of your prospects back to you. Relationship marketing is a good way to establish, build and maintain your relationship with your prospects and customers. Customers who love your products are more likely to become loyal customers who are willing to spend more money and would refer your products and services to their family and friends. Word-of-mouth Marketing is an old fashion yet the best way of having new customers. A customer who is satisfied with your products and services is more likely to recommend you to their family and friends. Many marketers find this type of marketing very effective because customers who love your product are always excited to share stories verbally or through social media about their experience. Call-to-Action such as “Subscribe now”, “Call us”, “Know more”, etc found on your site or at the end of your blog posts is a good way to drive traffic and convert visitors into leads. However, you have to make your website and contents interesting or this type of marketing won’t work. Hosting or participating in an event is one way to show your prospects what your products can do. Letting them experience your product is a great way to drive more sales. One way of letting your prospects know that you exist is through outbound marketing. By having your own list of prospects and begin reaching out to them is a good way to gain new customers. 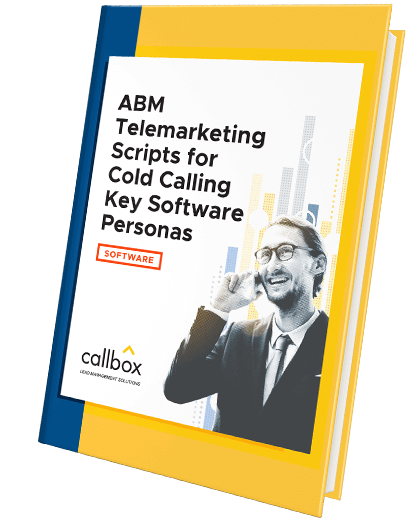 For example, software companies such as Microsoft and Sage use outbound marketing – telemarketing or appointment setting to reach out and look for potential customers before calling or meeting them in person. Content marketing is a good way to educate your prospects about your products and services by writing situations they can relate into where they can find tips and resolve their problems within their organization. Giveaways, free download or a 1 month trial of your product is a good way to boost sales. Letting them experience your product before the actual purchase lets them understand how your product works and would consider you over a product they don’t know. Direct marketing is an effective way of reaching out to prospects. Being visible through any devices such as, computers, Smartphone, tablets, etc regardless of what channel they use – email, voice, social media, and the web is important to deliver your message to your target audience. For telecom and other IT industries, continuous product development and how you let your prospects know about your products and services is important. These 10 marketing strategies will help you deliver the right message to the right people, increase your sales and keep up with your competitors.